What a vehicle needs for its radiator is water. Secondly, it needs fuel, petrol or “gasoline” as Americans say, for it to run or move. Finally, a vehicle’s engine requires “engine oil” or “black oil” as the mechanics say. Engine oil represents today’s topic under discussion. Duckhams, Mobil, Shell, Petronas, and Esso are but some of the well known engine oils in our country, Malaysia. While in other countries, you must have heard of Repco, Havoline and the other famous brands. Besides filling in engine oil into their engines, some motorists even go one step further. They insert well known “additives” such as reknowned S.T.P. WYNNS, X.1.R and SLICK 50 to enhance their engine’s performance. I was introduced to a well known additive in the market by an engineer friend, Mr. Fong, a few years ago. Mr. Fong was then attached to a company, based in Pandamaran New Village, Pelabuhan Klang that produces vehicle shock absorbers and car seats amongst other things. Unfortunately I have forgotten the name of the company to which Mr. Fong is attached. It has been many years since we met. If readers would like to experience how X.1.R and SLICK 50 perform, try using them. For your information, X.1.R engine oil additive comes in 350c.c. bottles. It costs some RM40 – RM45 per bottle. SLICK 50, however comes in bottles of 950c.c. quantity and it costs a whopping RM135 without any discount. SLICK 50, for readers’ information is only available in large supermarkets like Parkson and Jaya Jusco outlets. X.1.R on the other hand is rather easily obtained in most spare parts shop all over town. The above two well-known additives are said to propel NASA’s “Challenger” space crafts to the planet moon. These two engine oils are therefore approved by NASA itself. Engine oil is for the lubrication of internal combustion engines. The main purpose of engine oil is to prevent friction the moving parts of the engines. On top of that, engine oil cleans the engine. It also prevents corrosion. When metal parts of the engine grind against each other, certain parts undergo wear and tear. Some parts become chipped as a result. Engine oil therefore acts as a “sanding agent”. Besides that, engine oil cools engines, while at the same time, engine oil desipitates heat from the moving parts. Basically, there are 2 types of engine oil. One is ordinary engine oil. The other is “synthetic” oil. The later can sometimes cost as much as RM200 per 4 litres can. My son in-law Kin, when he was using his Toyota Hilux, used to use synthetic oil for the above said vehicle. My late father, who was driving a 7 ton Bedford lorry way back in the 1960’s, used to tell me a few things regarding engine oil. i) Check one’s engine every morning before moving off. ii) New engines should undergo a running in period for the first 1000 miles. Then, the engine oil and filter has to be changed. Thenceforth, my father said, engine oil should be replaced every 3000 miles. Nowadays, engine oil should be changed at intervals of 5000 km. Car experts and mechanics advise that these days, engine oil should undergo changes at 10,000km period ideally. What Are Engine Oil Made From? Engine oil or black oil as it is called, is either made of either petrol based or non petroleum synthetic chemical compounds. What vehicles or machines use engine oil? As mentioned earlier, internal combustion engines normally use engine oil. For examples cars, motorcycles, buses, commercial vehicles, go karts, snow mobiles, lawn movers, aeroplanes and even generators use engine oil. What happens when engine parts rotate? When engine parts, such as pistons, connecting rods, valves and piston rings move, “friction” takes place, causing wear and tear. Friction leads to power loss of an engine. This leads to engines becoming less efficient. As a result, fuel consumption increases. In extreme cases, engine failures will eventually take place. Why an oil filter is important in internal combustion engines? The corroding of metal parts or friction of moving metal parts in an engine produces tiny, microscopic metallic particles all the time. Therefore, mechanics and car experts say it is pertinent that a good oil filter is used to filter out harmful particles from the black or engine oil. As such, remember that changing engine oil without changing oil filters, is a pointless venture by itself. Which type of vehicles in Malaysia normally have to use engine oil? Most vehicles in Malaysia are 4 stroke engines. Motorcycles, especially Honda vehicles are predominantly 4 stroke engines. Previously, Suzuki, Yamaha and Kawasaki motorcycles fall under the category of 2 stroke engines, which is said to contribute to pollution of our atmosphere. Formerly, Vespa and Lambretta scooters, which were extremely popular in the 1950’s and 60’s, were also examples of 2 stroke machines. I still remember how a small amount of engine oil (about 30 cents) worth was mixed into the petrol to prevent the engines from being jammed up. Some motorists might wish to know what are the properties of engine oil. Engine oil is said to be made from heavier, thicker hydro carbon based stock from “crude” oil. Additives are sometimes added into the oil. One most important property of engine oil is what’s termed as “viscosity”. Viscosity is termed as oil thickness or a measure of resistance to flow. A good engine oil should have the properties high enough to act as a lubricating film and at the same time low enough so that the oil can flow around engine parts, such as pistons, connecting rods, valves, rings, etc under all conditions. Engine oil must be capable to flow at the lowest temperature to minimize metal to metal contact between moving parts, especially when the engine is initially started. How are engine oil graded? Are you aware that the Society of American Engineers (SAE) has developed a numerical code system for engine oil. Engine oils are graded from low to high viscosity. The numbers begin from 0, 5, 10, 20, 30, 40, 50 or 60. The engine oil has an alphabet W behind it. “W” denotes winter, denoting an engine oil’s viscosity. Therefore, should you see an engine oil graded SAE 20, it means that it is an engine oil suitable for cold weather. 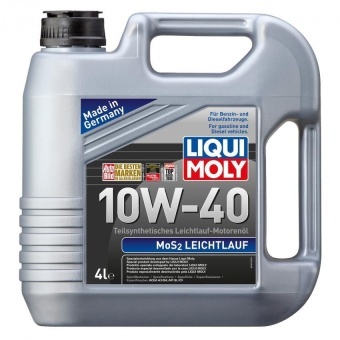 My late father used to tell me as a 13 year old school boy who is very interested in all things pertaining to cars, that new vehicles should ideally go for lower SAE engine oils, eg 10W or 20W. Older vehicles my dad said, should opt for SAE 30 or SAE 40 or even SAE 50. Besides the usage of the denomination SAE, American engine oils are also given the denomination of American Petroleum Institute (API). Like SAE, API sets the minimum performance for lubricants produced in America. And finally, all vehicles owners are hereby advised that when servicing your vehicles after a certain duration of period, remember always to also change your oil filter as well. 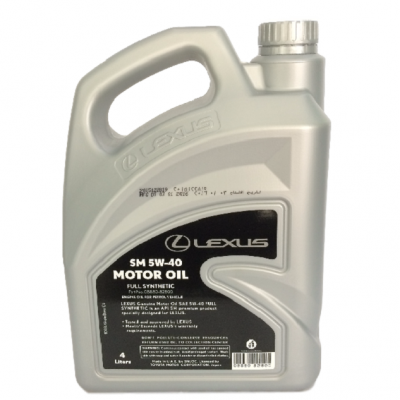 Your engine oil, can vary from 3 to 4 litres or even more than 5 litres for larger vehicles like lorries and trucks. My Kancil car which is only a 3 cylinders and 660c.c. engine capacity, has only 3 litres of engine oil. The Kancil has only 3 plugs too. I am an engineer and worked a long time ago in Esso. I have a question. When I use addictives in my lubricant, do I become an addict? I don’t remember then that addictives were put in the engine oil. All I know is that additives were added. I think you are confused. There are no addictives put in motor oils. I randomly came across your comment. I have to disagree with your usage of engine oil 3rd party additives. Especially when you said that it powered NASA space shuttles to the planet moon.. Even if it had some space/hi tech use, the conditions are vastly different! such claims are irrelevant. NASA approvals for space usage etc would be irrelevant to regular automotive use. Anyway, besides the fact that these “snake oil” formulations have been proven to not improve the performance/ fuel economy of your vehicle, (I’ll provide a link to an official government study done that proves this if you reply to my message) the formulation of each and every engine oil lubricant by the major players in the market (PETRONAS, SHELL, CASTROL etc) is done with years of expertise and the hard work of the best engineers in the industry. The addition of other additives / contaminants may mess up the fine tuned balance these engineers have struggled to produce. For instance the addition of certain phosphorus additives may damage your cars catalytic converters. If you’re lucky, the best case scenario involves your performance maintained or slightly dropping. At the worst, catastrophic failure and expensive repairs. Some forms of engine sludging can be traced back to the use of extra additives. Why mess about with these additives and risk voiding your warranty? The right to disagree is yours. Anyways, thanks so much for your other comments and updates. Speaking of additives, I am aware that besides the good, it also has its bad points. Vehicles under guarantee or warranty should refrain from using it. Thanks for your advice though.